You might think that after visiting a large cemetery like Wyuka or Forest Lawn Memorial Park, going to a small rural cemetery would be a let down. In truth, I find them a bit of a relief. Instead of trying to take everything in and not miss anything, I can wander a smaller cemetery without rushing and just enjoy it for what it is. Another genuine pleasure cemetery is seeing several generations of the same families buried close to each other. On my last day of my September 2015 visit to Nebraska, Christi and decided to go to St. Joseph, Mo. to visit Mt. Mora Cemetery. On our way down, Christi wanted to stop at Heart United for Animals, a no-kill shelter near Auburn. It’s out in the country so I looked on the Find a Grave phone app to see if there was a cemetery nearby that we could visit afterward. And indeed there was one only two miles away. 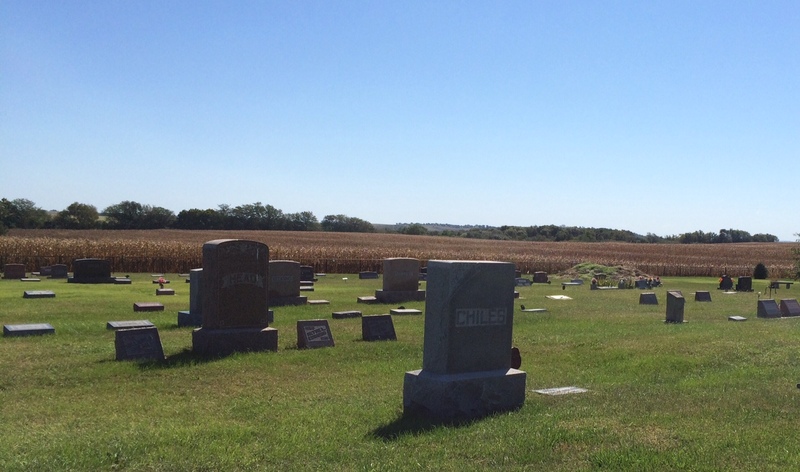 Like many Nebraska cemeteries, Glenrock Cemetery is in a corn field. 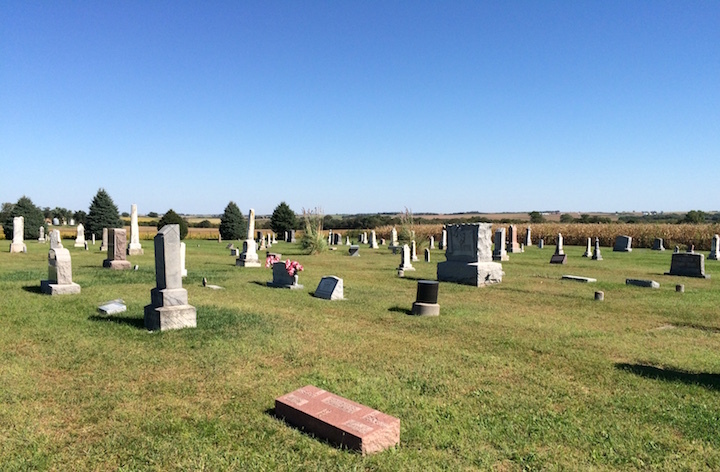 Glenrock Cemetery is easy to spot along the rough rural road that’s carved amid large cornfields. We were kicking up enough dust to choke a horse but I was just glad we didn’t have to drive into a cornfield to find it. You can see right away that someone is taking good care of it. Thanks to a very helpful website created by Mary Beth Lavigne Kernes, I found out quite a lot about Glenrock Cemetery. Every grave is documented and photographed on the the site. I am always grateful to those helpful souls who provide details of a cemetery’s history. According to the site, Salathiel J. and Eulala Good sold a little over an acre of land to the trustees of the Glenrock Burial Lots. Dated February 3, 1874, the deed stated that the land was to be used “solely for the purpose of a burying ground, and no other.” Mrs. Good gave up her “dower rights” to this land when it was deeded to the trustees. 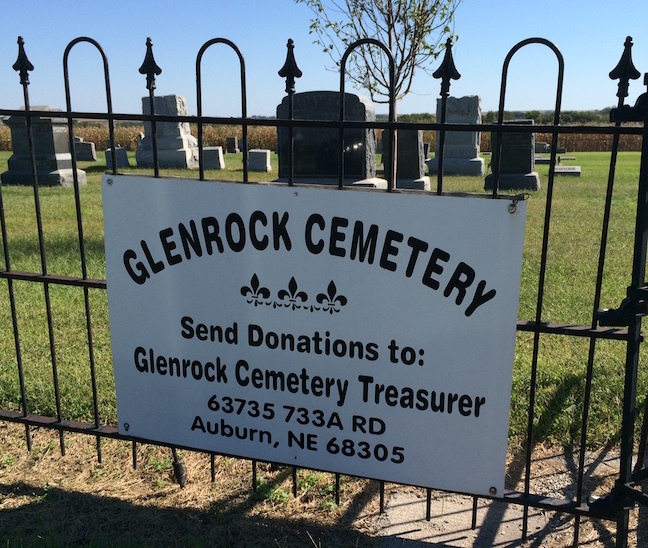 Unlike other early cemeteries in Nemaha County, Glenrock never associated with any other organization such as a church. The town of Glenrock was platted and dedicated on September 8, 1857. That’s 10 years before Nebraska became a state. Of the eight Nemaha County towns proposed in that same year, only Nemaha and Peru still exist. Records of the oldest section of the cemetery (to the left of the front gate), were lost in a fire. Stones still mark many of the graves there. 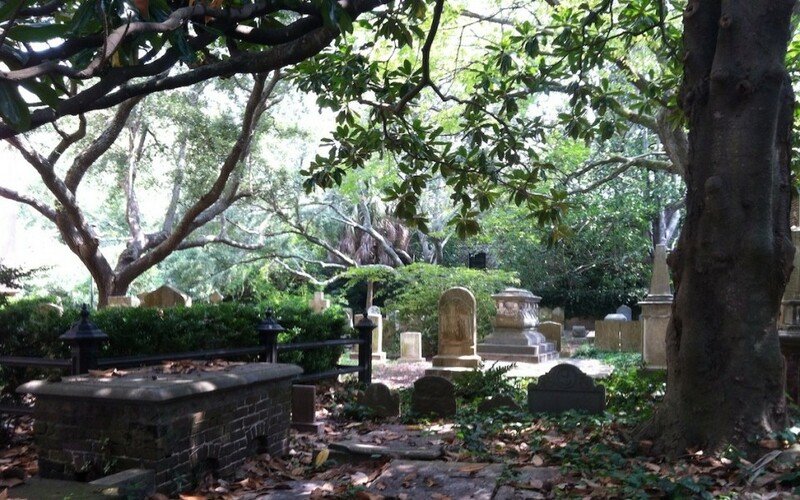 According to Ms. Kernes, stories handed down through the generations mention Native American graves, as well as Gypsy graves from families who camped along Rock Creek, east of the cemetery. The older section is to the left as you enter, with more recent burials to the right. But many of the surnames are the same across the acres. A second purchase of land from Oliver Good (Salathiel and Eulala’s bachelor son) in November 1895 secured the middle section of the cemetery (south of the original purchase). A third parcel of land south of the others was purchased from Tom and Eleanor Adamson in October 1963. This completed the land purchased, making the total area of the cemetery about 3.25 acres. Records show that for many years lot owners were assessed $1 per year for upkeep. In 1908, Lettie Higgins collected $102 for building a fence. This section of fence is apparently still in place! 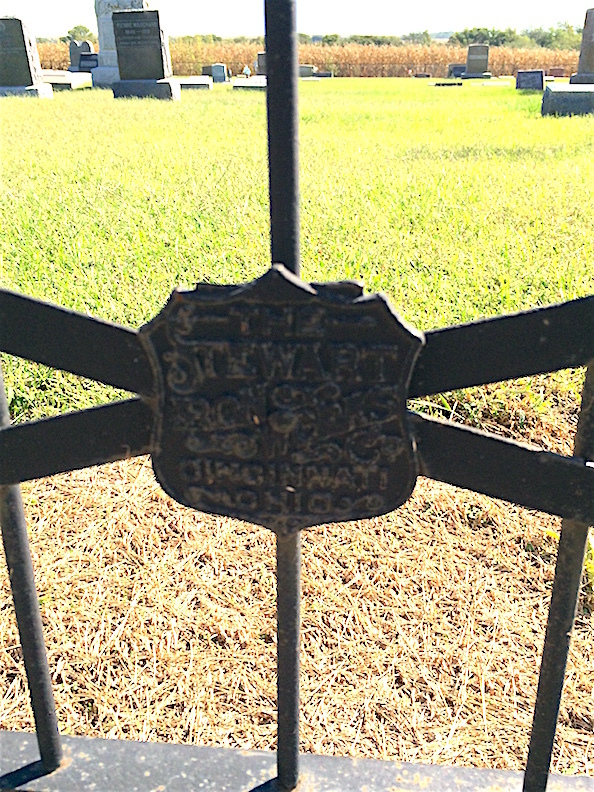 It’s a safe bet that if you’re in an old cemetery, you’ll find Stewart Iron Works fencing somewhere. I’d noticed (as any seasoned “hopper” would) that like many other cemeteries’ fencing, Glenrock’s front section of fence is from the Stewart Iron Works of Cincinnati, Ohio. You can find their work in almost every state. I wrote about the Stewart Iron Works last year if you want to know more about them. If this is the fence Mrs. Higgins bought, she spent her money well! I spent most of my time in the older section. It has a wide variety of different gravestone styles and varieties of materials. In the picture, you can’t really tell whose name it is but in person, you can see the name of Oliver Good. This is what I can only describe as a large hunk of rock. I don’t know what kind or why it was chosen. It’s for Oliver Hazard Perry Good, the Good’s son who sold some of his land for the cemetery. He’s one of several Goods buried at Glenrock. Little Evet Good didn’t make it to his fifth birthday. Not far from Oliver’s grave is that of Evet Elsworth Good, who died at the age of four in 1879. 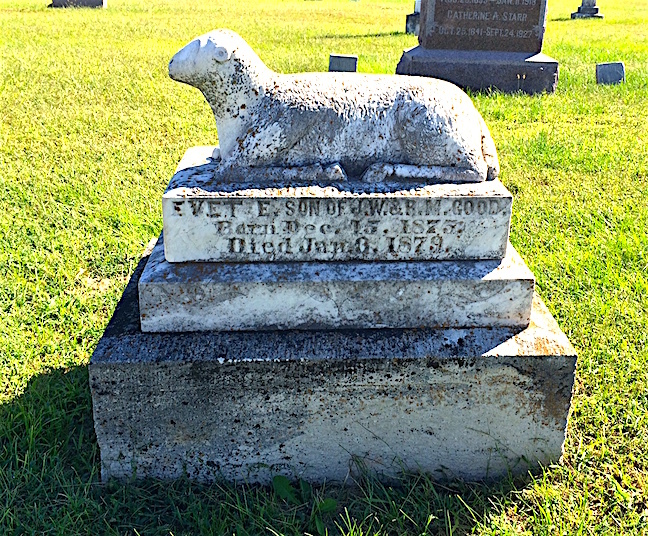 This is by far the largest lamb I’ve seen on a child’s grave marker. Most lambs on gravestones are fairly small and many are damaged. This one looks to be in very good shape for its age. The shadows make it difficult to see but the angel is playing a harp. 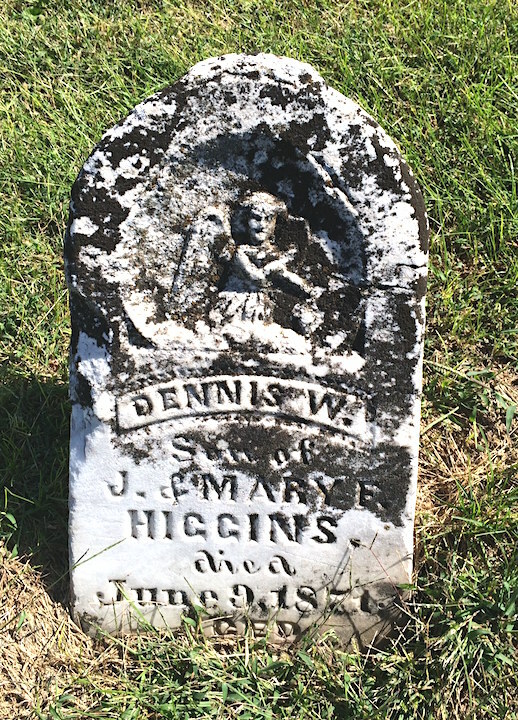 Another child’s grave is this one belonging to Dennis W. Higgins, who died in 1871 before he reached his second birthday. His parents, Jonathan and Mary Fletcher Good Higgins (she was another of Salathiel and Eulala Good’s children), had 12 children. Of that number, five died in infancy or childhood. I’ve not seen an angel playing a harp like this one before on a grave marker. Elbert A. Starr was the son of two of William and Catherine Good Starr’s children. 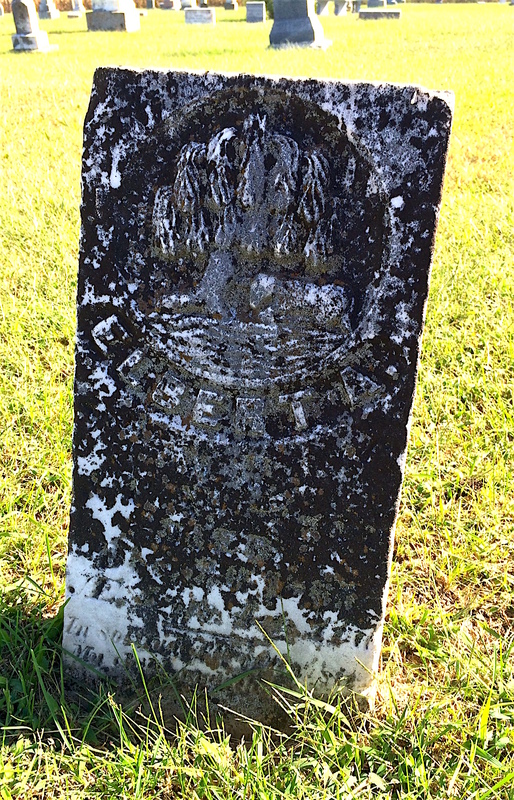 The weeping willow is a common mourning theme on grave stones but this one has a lamb beneath it, indicating a child is buried there. Elbert A. Starr, who died at the age of four in 1903, was the son of William and Catherine Good Starr (another daughter of Salathiel and Eulala Good). 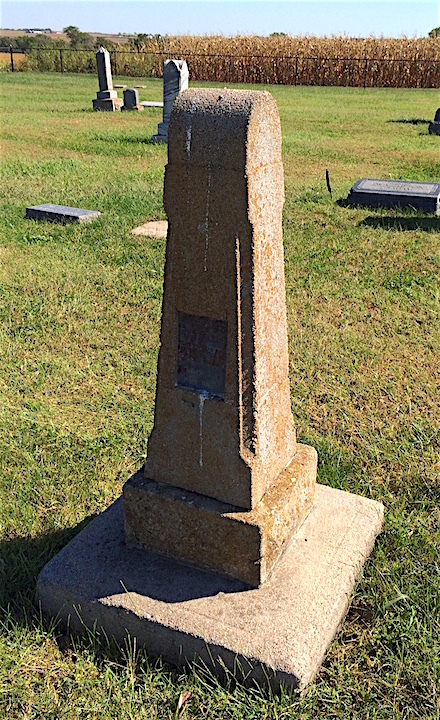 Clarinda Cooper’s marker is unique among all the others. 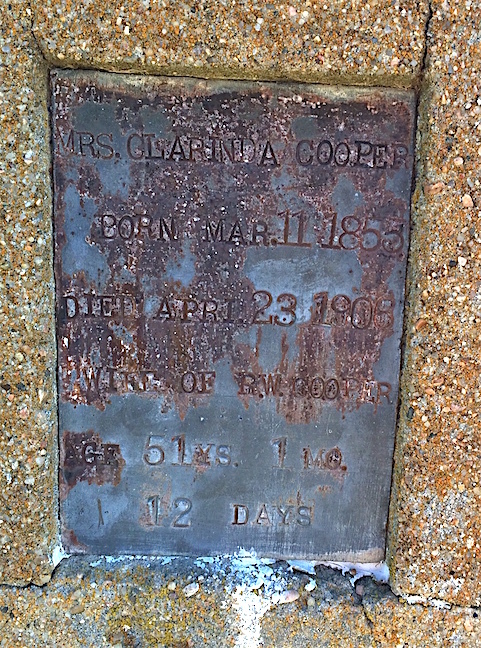 Then you have Clarinda Cooper’s marker. It looks to be made out of concrete but I’m not sure on that. She was 51 when she died in 1906, and she was the husband of R.W. Cooper. He’s not buried at Glenrock. Despite harsh winters and hot summers, Clarinda Cooper’s name plate has remained intact. The nameplate on the marker is possibly slate or some kind of metal. It’s rusted a good bit but you can still read the inscription. Baby Reimers lived a very short life but this baby had a fine marker to remember it by. 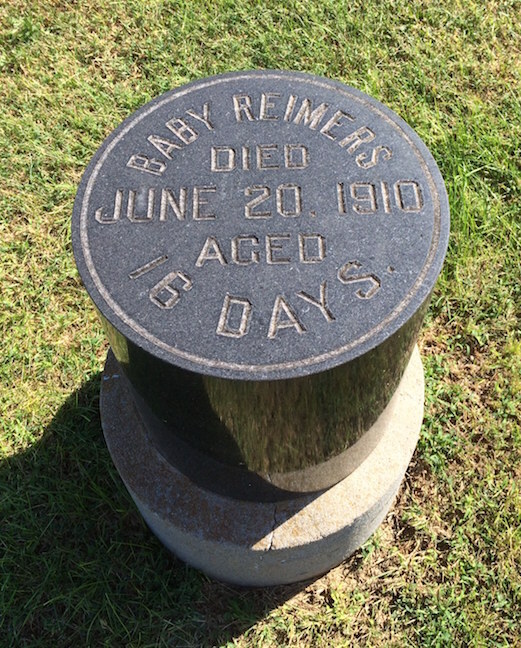 The grave of Baby Reimers struck me as odd yet interesting. It’s shaped almost like a spool of thread and is made of a highly polished stone. There are other Reimers buried at Glenwood (August Reimers was one of the original trustees) but the date doesn’t seem to match up with any of them. It’s a particularly fine marker for such a short life. 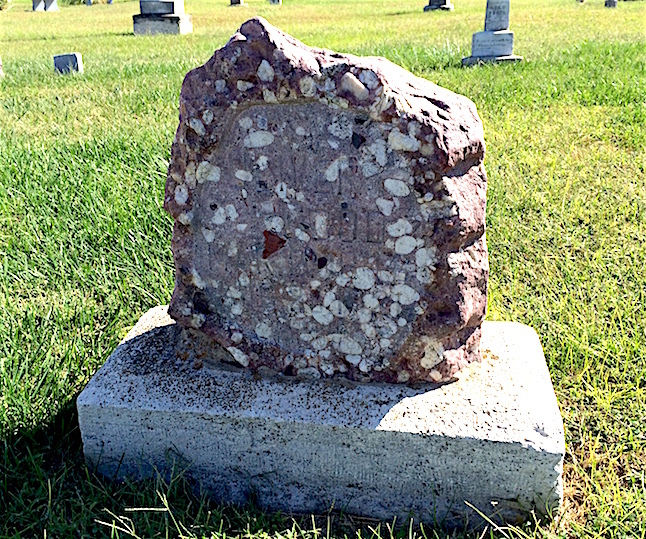 The last grave marker I’m going to talk about is a bit of a mystery. 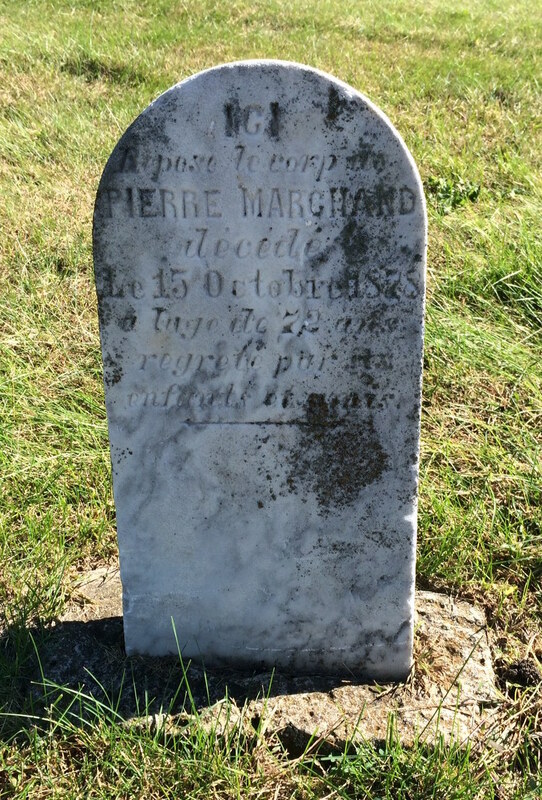 I had seen the name “Marchand” on a handful of the graves, indicating French ancestry. The one I photographed of Pierre Marchand, in fact, has an inscription written in French. He died at the age of 72 in 1878. I learned later this part of Nemaha County was where many French immigrants settled even before Nebraska became a state. The first were trappers or Indian traders who were some of the first Europeans to settle there. More French settlers (who intended to make Nebraska their home) cam in the 1850s and the years after. Little is known about Pierre Marchand. One of of their settlements was at the village of Julian, which had a station on the Missouri Pacific railroad. Julien Bauhuad, one of the first settlers, was the source of the town’s name because the railroad company could not pronounce the Frenchman’s last name. Julian’s still on the map but it has a tiny population of about 60 now. In 1899, Julien Bahuaud (who lived alone on his farm) was robbed and murdered. The crime went unsolved for 14 years until one of the men suspected of the crime had heatstroke while in Kansas. Told that he was dying, he confessed to his part in the murder. To his chagrin, the suspect recovered and was brought back to Auburn for a trial. Convicted, he spent the rest of his life in the Nebraska State Penitentiary. Julian Bahuaud is buried in St. Bernards Catholic Church’ cemetery in Julian. The puzzling thing about Pierre Marchard is that when I tried to research his name, I discovered a website that indicated he was actually buried at St. Bernard’s. Not at Glenrock. There are a few other Marchands buried at Glenrock but Pierre doesn’t appear to be directly related to any of them. I couldn’t find much about him. Because we were headed to St. Joseph, we couldn’t linger at Glenrock for long. 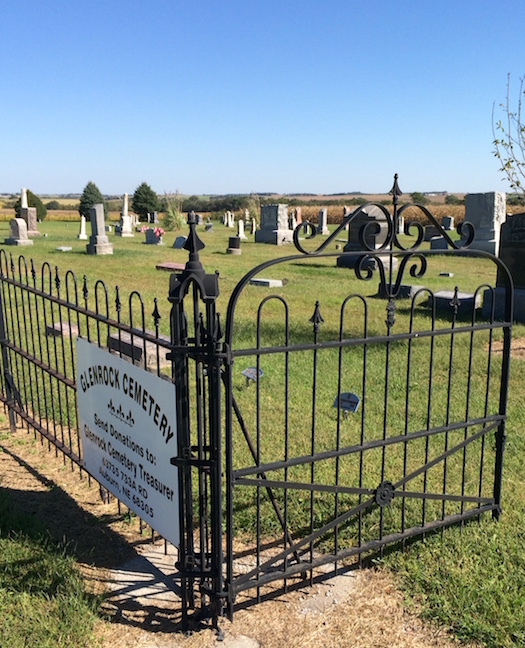 But this cemetery is indicative of many I’ve seen in Nebraska. It’s well cared for and the people who settled the area have descendants still living there today. Their children who died young are remembered with love. This is where a great deal of my family is buried. Grandparents, great-grandparents, father, niece, aunt, cousins, etc – and where many have already purchased plots for use in the (I hope) very distant future. Many friends as well. Just a really peaceful place. I am a descendent of Pierre Marchand and can provide more information to you. BTW, I am one of Mary Beth’s children (she is my link to Pierre). Pierre is, indeed, buried at Glenrock. Interestingly enough, the Marchands returned to France after emigrating to the US. However, they only stayed a few years and then returned to the US for good. Thank you for the pictures and the history. Love it.